Why is it so hard to find a Left Handed Guitar? As guitarists, we're pretty spoilt these days. We see all these wonderful guitars available in the world, catering for most players and built for specific genres. However, with more variety than ever there’s still one thing that hasn’t changed all that much. And that is easily finding left handed axes! It’s not all doom and gloom when it comes to finding a left handed guitar. If you go back a few decades, there were hardly any available at all. That’s why players such as Jimi Hendrix played a Strat upside-down, and some out there like Eric Gales learnt to play the guitar completely in reverse! So in this guide, we are going to identify the reasons why left handed guitars are so difficult to find. We’ll be taking a close look at production methods and the difficulties manufacturers can face. Why aren’t there many left handed guitars? Therefore in order to remain cost-effective, the production of left handed guitars is not exactly a priority to a lot of guitar companies. Why? Because producing instruments in large quantities is more economical, whereas making guitars in small batches is not. We’ll get to that later in more detail. Major brands such as Gibson and Fender produce their instruments in big batches and on a mass scale. As left handed guitars are naturally in less demand, they will sell at a slower rate than their right handed counterparts. When large, established brands have a number of product lines and ranges, they are commonly replaced or improved upon year-after-year. They therefore want to ensure that they are selling all of their stock to retailers and getting more for their money. If they are not sold, then they are forced to sell those instruments at a lower cost as they eventually become ‘old stock’. There are a few reasons why most left handed guitars are sold at a higher price-point compared to right handed models. This is even if the specs are technically the same. If companies outsource left handed specific hardware (Floyd Rose tremolos for example), then it’s likely that they will buy a smaller quantity. Why is this? It’s hard to justify spending more on a larger batch of parts when the left handed instruments they will be installed on are harder to sell. But on the other hand, buying a smaller batch will mean the cost is higher per-unit as discounts are usually applied if companies bulk order. This is a common business practice. Another issue to consider is the fact that special tooling must be made to assist in building guitars. When most production models are right handed, the tools employed to manufacture them and their parts can be re-used. To make left handed instruments, tooling must also be made specifically for them. This can be a big investment, especially for smaller, more boutique brands that have less resources. A lot of larger manufacturers will also use CNC (computer-numerical-control) machinery to mass-produce their instruments. CNC machines require a fairly intense amount of programming to precisely cut wood and form the bodies/necks of guitars. With regards to making left handed versions, re-programming these machines is not as simple as reversing all of the code and input data. It’s more complicated than that! This means that setting up these machines correctly for the process takes a lot of time. Thus producing left handed models requires more time and effort from staff/luthiers, costing more money. Productivity can also affect left handed guitar production. For example, a guitar luthier will repeat the same tasks over and over everyday, like most occupations. Over time, they will become more competent and quicker as the process becomes more familiar. Therefore, making a left-handed version of an instrument will in theory be similar, however the time to produce one will take longer as the luthier will essentially be relearning the process. In other words, it’s easier said than done! Facing these issues, in most cases guitar companies will charge slightly more for a left handed version of their product. Becoming more expensive with almost every step of a build process, the whole guitar will inevitably cost more to produce in the end. Which brands make left handed guitars? On the bright side, there are some companies out there that empathise and manufacture instruments for lefties. For example, Schecter make left handed versions of almost their entire range. And let’s be honest, they make some pretty cool guitars! Reverend Guitars also produce many left-handed models, and are happy to cater for southpaws. Fender are another brand that produce some of their models in left-handed iterations, but limited to their Mexican Standard and American Professional guitars. This is because Fender try to identify and research which guitars left handed players are more likely to be interested in and demand. Chapman Guitars are renowned for collaboratively designing their guitars with fans. Also catering for lefties, they have opened voting polls for them through their website. 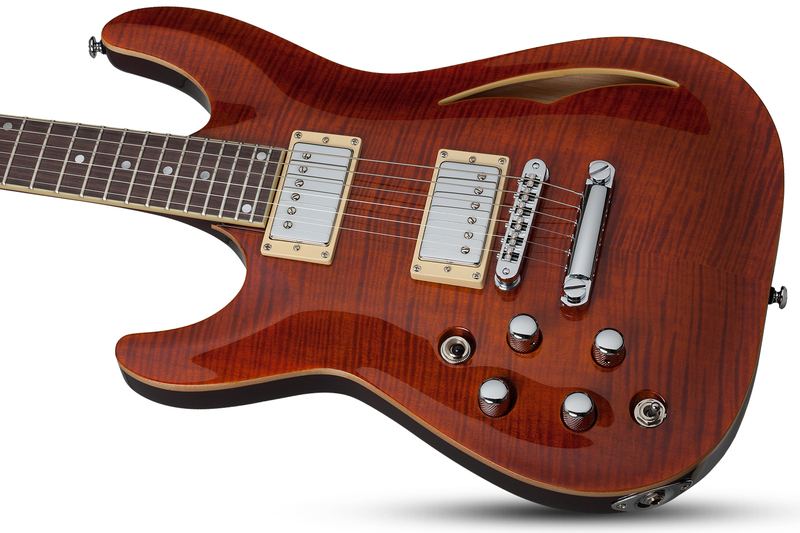 As well as this, PRS have recently started making a core line of SE left-handed models. The reputable US brand were notorious for not mass-producing left-handed guitars for over a decade! Who Plays Lefties These Days? Mikey Demus of reggae metal pioneers Skindred appeared on Andertons TV in May 2017. Featuring in an episode of our ‘Captain Meets’ series, Mikey revealed that he plays left handed despite actually being right handed! As we mentioned at the start of this article, blues shredder Eric Gales is another famed southpaw. Playing a right handed guitar with the strings also reversed, Eric has developed a distinct style setting him apart. He also featured on ‘Captain Meets’ in 2017, and performed a clinic in collaboration with Andertons too! Don’t forget to visit our events page to check out our upcoming events. Did you enjoy reading this article? Leave a comment below and share your thoughts! Interested in finding out more about music gear and expanding your knowledge? Click here to view all of our Learn articles.